Among bats of the United States, this species is second in size only to the greater mastiff bat. The range within the United States is limited to the vicinity of the Baboquivari Mountains and the Organ Pipe Cactus National Monument, but occurs along the western coast of Mexico into Central America. The flight speed is at least 43 kilometers (26 miles) per hour. As in other free-tailed bats, the distal part of the tail is not attached to the interfemoral membrane. Information on habitat of this species in the U.S. is scarce and its distribution in winter is unknown. Roosts are in high dry places; one roost was in a large, hollow tree. Its presence can be detected by listening for the high-pitched "peeps" emitted several times a minute in flight. The calls may be intense enough to hurt the ears of anyone standing close by when these bats are flying. One baby is born in late June or July. 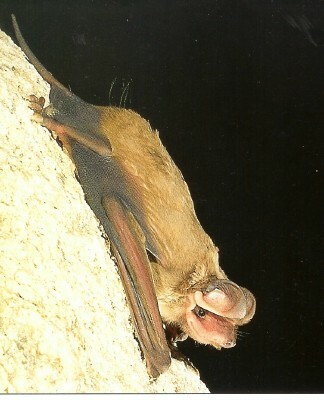 Underwood's mastiff bat is rare in the United States and is of special concern.